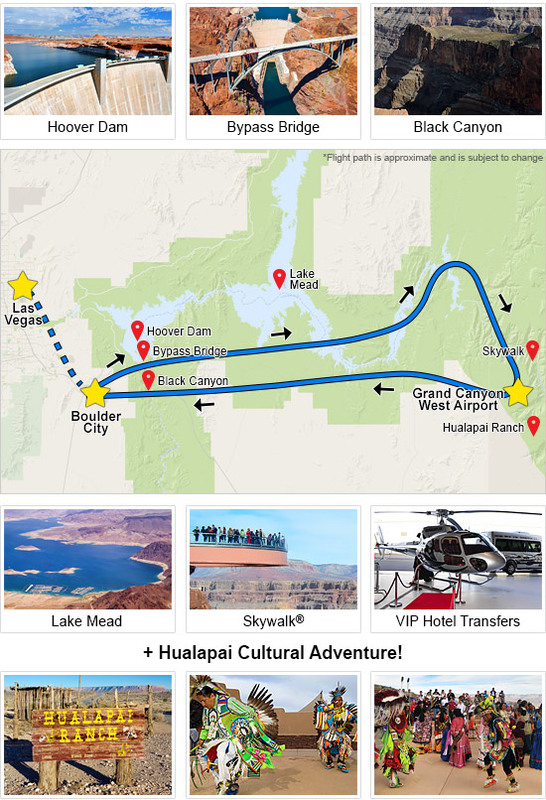 This Grand Canyon landing tour features a 45 minute Landing at Grand Canyon West with time to explore Eagle Point, home of the Skywalk. 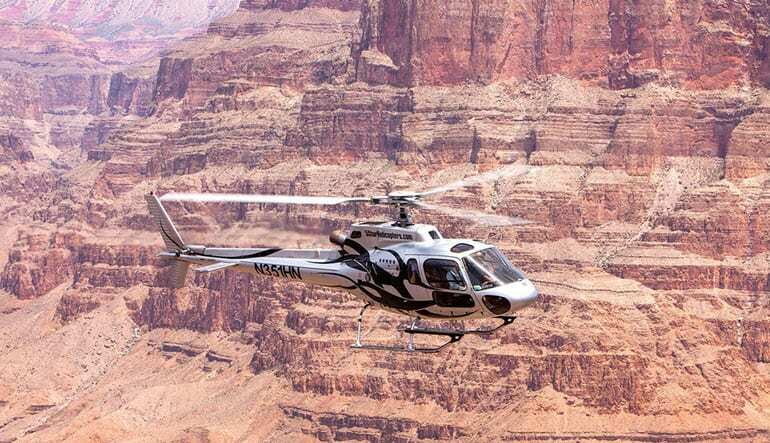 Enjoy a full Grand Canyon Helicopter Tour above and below the rim before landing safely at Grand Canyon West Airport. 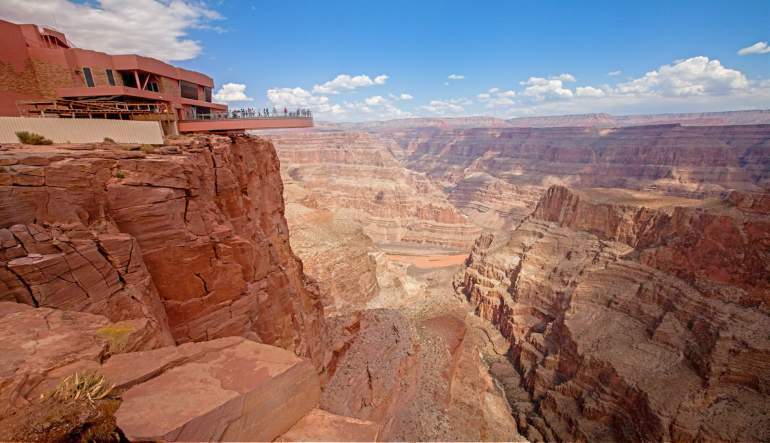 Transportation will then transfer your guests directly to Eagle point to enjoy 30 to 45 minutes on the rim. 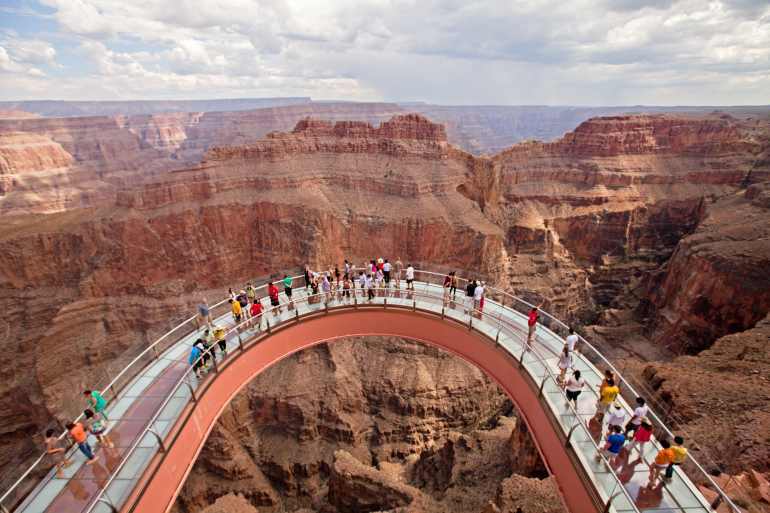 Choose to add on the Skywalk either at the heli port or at Grand Canyon West. You will have access to all of the amenities including wheelchair access, restrooms, shade in the summer, dining options suitable for all and WIFI. 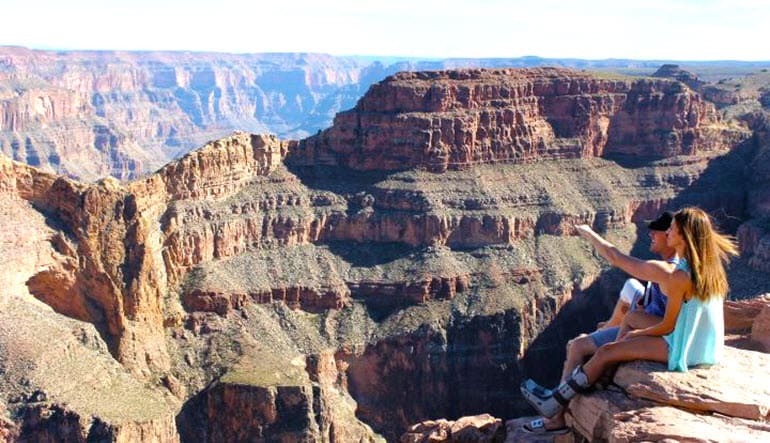 Enjoy taking pictures and video look down deep into the Canyon, buy a souvenir at the Gift shop or Explore the Native American Village at Eagle Point. The tour round trip hotel to hotel will be approximately 3 hours.